This year I definitely focused my adventures in France, especially in Paris. I only went out of the country five times: twice to visit friends in Belgium, on our Mediterranean Christmas cruise, a solo weekend in Munich, and the repeat tulip weekend in the Netherlands. I have happily run-a-muck in Paris instead. If I had to be city-locked, this is the one place I would choose anyway. As we progress toward mastering the metro and bus systems, we continue to find even more of the treasures that the City of Light holds for us. Plus, France is such a huge country, we are not even close to having visited each region, let alone the cities! This is just a day trip north of Paris, so it will be the easiest adventure to pull off after we return in August. There is always room in my life for more chateaux! I believe that next to the Eiffel Tower, MSM is the second most visited sight in France. It is an incredible island village built around a massive monastery. This place deserves its own weekend next year for sure. We got close this year in Caen, but this is a very time-consuming endeavor that requires well-planned transport - or your own car. There are several beaches and cemeteries that are not friendly to the walking. Both our American and French friends have all told us that "every American should see the D-Day beaches." It's relatively near Mont Saint-Michel, so we could technically combine these trips, but it will all depend on calendar availability. Outside of France, I would really like to make it to Prague to visit my old roommate from my Belgian team. Marc and I also really want to do more of either Italy or Greece. We would also be ready for any last-minute deals hailing from Berlin, London, Zurich, Vienna, Dublin, etc. It's all a matter of matching up time and money, then jumping in and going for it! 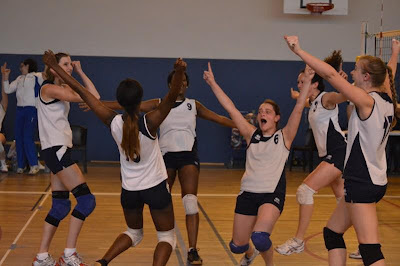 The first week after I return, I am going straight to Den Haag, Netherlands, to work an American volleyball camp. Coaching in English never sounded so good. I am not ignoring Spain. 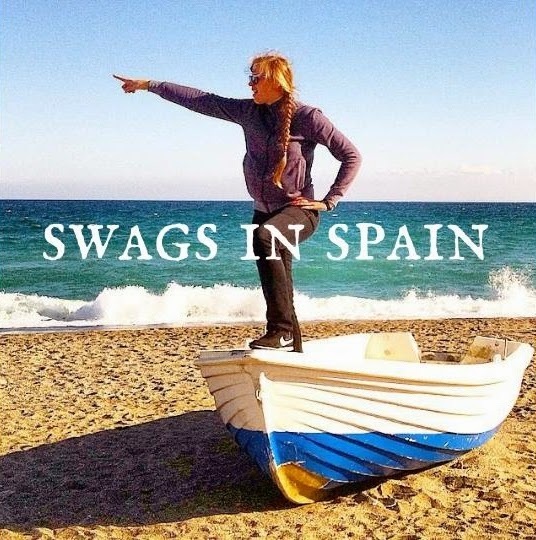 Rather, I am insanely anticipating my Spain excursion, which is currently planned for the summer of 2014. There is just so much I want to see and do in Spain, there was no way I could pull it off in successive weekends. So instead, I am dedicating an entire month of my future life to Spain and Portugal. A trip like this is worth waiting for and doing right. The very distant future (2015 and beyond) tells tales of Scandinavia, Russia, and Northern Africa. We are also very interested in the potential lifestyle Australia presents to us. But this is all way down the road. For now, we'll gladly stick to our Old World ways with the castles and fabulous food. As far as your chance to experience any of this with us, we are going to be much more organized in our calendar next year. Now we better understand French holidays and our own hosting strengths and weaknesses, thanks to our willing "test visitors" this year (Jes, Kia, Tanya, and the 8 Simpson men!). I will be posting a calendar sometimes this summer on the blog that shows "open dates" for possible travel times. WARNING! WARNING! Going to Paris makes you do all kinds of crazy things like: quit your job, move to Jerusalem, and possibly experience parts of the world that you otherwise would not. It also ruins Peet's and all other GOOD COFFEE PLACES (translation: Starbucks was never good to begin with) with their rich, delicious espresso that makes you believe your barista is actually a mythical creature or an angel. I highly recommend this trip to anyone who wants to rock the boat, dive in, throw all the chips on the table, and every other cliche that means "live a beautiful life!" Thank you M&C for giving me the opportunity to see the world. It changed my world entirely.